All photos by Encanto Acapulco. 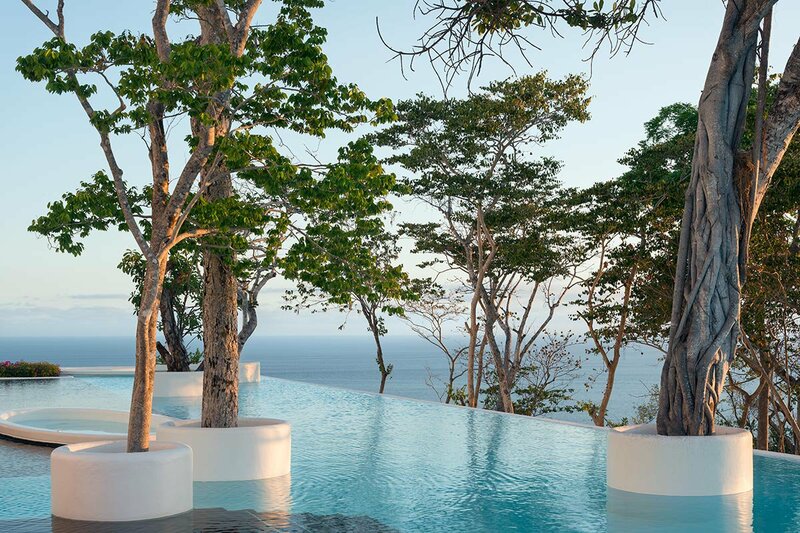 At Encanto Acapulco, perched atop the highest point in Brisas del Marqués (just twenty minutes outside of Mexico's vibrant coastal city), there’s no room for distractions. The walls inside are all but bare; the interiors sparse and streamlined. 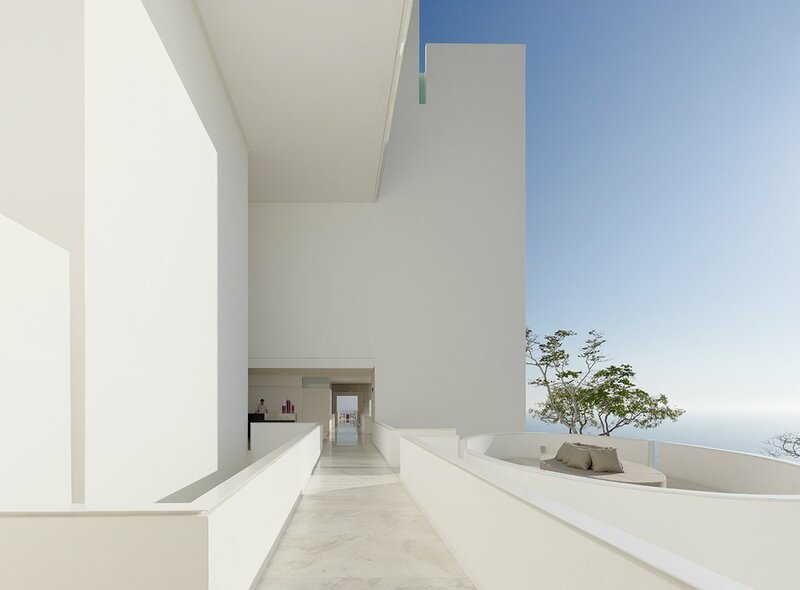 The bright white, angular facade, though breathtaking in its own right, is just a prelude to the main attraction — the beautiful, blue Pacific, which is on view from the pool, full-service spa, panoramic bar, casual gastronomic restaurant, and each of the ultramodern hotel’s 44 suites. 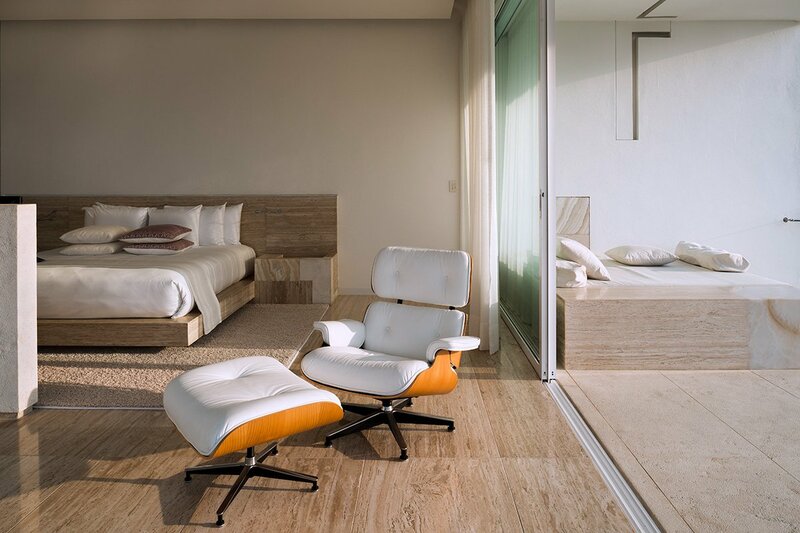 The architect behind it all, Miguel Angel Aragones, set out to create a space where travelers could reset and refocus. From the look of it, mission accomplished. 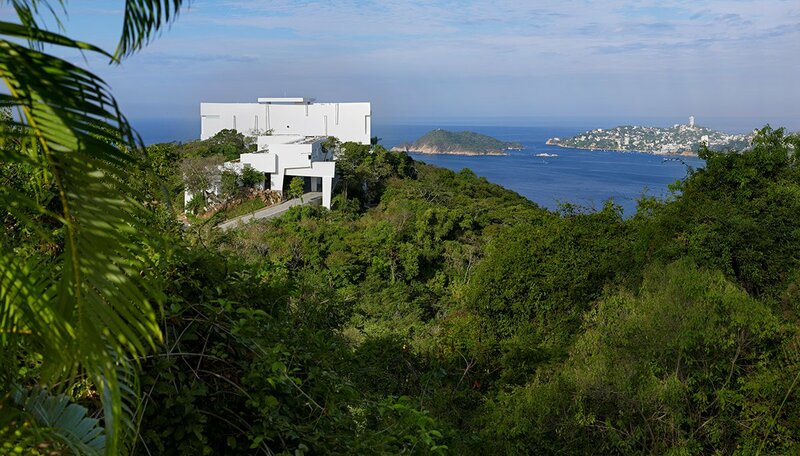 An ecological reserve flanks Encanto Acapulco from behind. 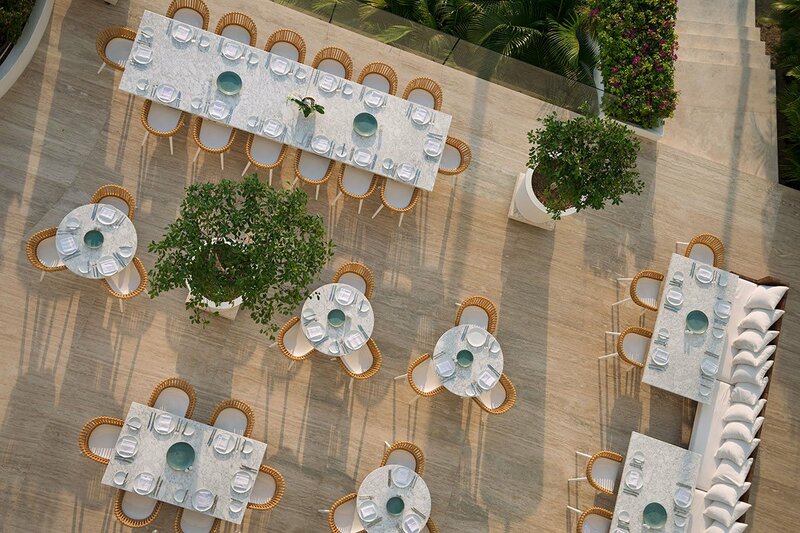 The creamy white exterior of Encanto Acapulco. 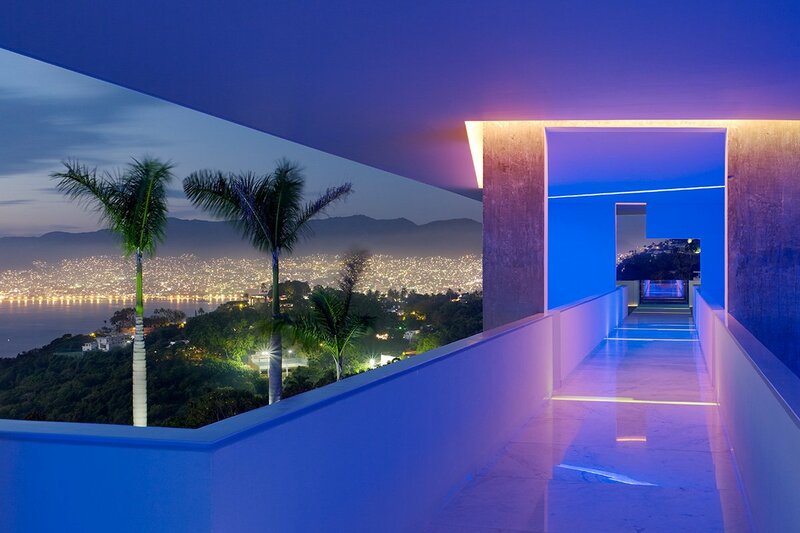 The hotel alight in neon overlooking Acapulco Bay. Vibe: Elegant, easygoing, quiet, and totally in tune with nature. Standout Detail: Come nightfall, each of the boutique's ocean-facing balconies glows a pastel shade of neon, a tip of the hat to the days when Acapulco was the resort town of choice for Golden Age Hollywood celebrities. This Place is Perfect For: Couples looking for a romantic retreat and travelers looking to unplug and reset. Rooms: 44 bright, light-filled suites, including two villas, are outfitted with king-sized beds, marble floors, desks, minibars, flat-screen TVs, Chrome Cast, and L’Occitane bath products. 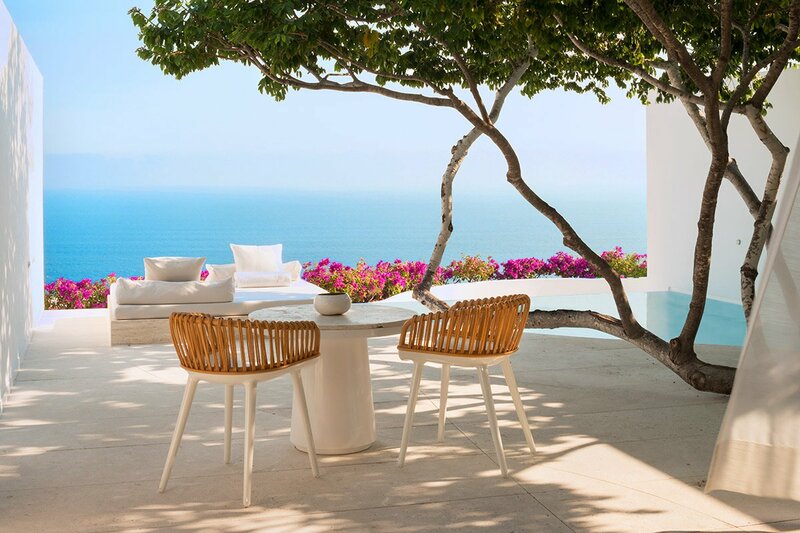 Many rooms have spacious outdoor terraces and private plunge pools. Villas incorporate dining areas and living rooms with sofas. On Site: Free WiFi, state-of-the-art gym, a full-service spa, a panoramic pool with trees growing out of it and lots of daybeds, and a 60-person cinema that’s available for group and private rental. Food + Drink: Terraza serves pastries and smoothies and Mexican dishes for breakfast and lunch. Origen does international dishes for dinner. Both restaurants look out onto the Bay of Acapulco. Adrenaline junkies can get a quick fix zooming 1,800 meters over Acapulco Bay at Xtasea, the world’s longest oversea zip line. History buffs will enjoy learning about 17th-century trade routes between former port city Acapulco and the Philippines at the Acapulco History Museum in the Fort of San Diego. Everyone else can catch La Quebrada cliff divers launch themselves from a 100-foot cliff in Old Acapulco into the Pacific below. They put on daily shows, but catch them at night to see them holding torches on the way down.